Any departure from the following should be considered a fault, and the seriousness with which the fault should be regarded should be in exact proportion to its degree and its effect upon the health and welfare of the dog and on the dogs ability to perform its traditional work, which includes, but it not limited to, acting as a companion. Since the Alaskan Klee Kai is a breed developed through miniaturization, attention should be paid to certain faults inherent with this developmental process, especially taking into mind that faults can be perpetuated because of a small gene pool. This includes, but is not limited to, bulging eyes, unacceptable temperament, and extremely fine bone. The Alaskan Klee Kai was developed in Alaska by Linda Spurlin and her family, to be a companion-sized version of a northern spitz-type of dog often referred to as the Alaskan Husky. From the early 70s through 1988, the Spurlins carefully selected dogs who met their high standards for appearance and soundness. In 1988, they made the Alaskan Klee Kai available to others. 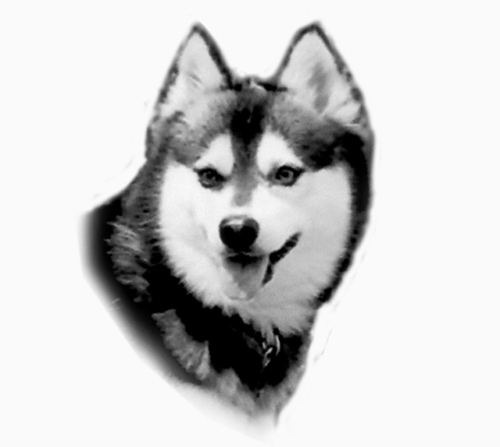 Mrs. Spurlin originally called her new breed the Klee Kai, but in 1995 it was changed to Alaskan Klee Kai to denote their place of origin. The Alaskan Klee Kai was recognized by the United Kennel Club January 1, 1997. The Alaskan Klee Kai is often referred to as a smaller version of their northern ancestors, the Alaskan Husky. They have a wedge-shaped head featuring a striking masked face, prick ears, and a double coat. The length of body is just slightly longer than the height. The tail is well-furred and curls over the back or to either side when the dog is alert or moving. 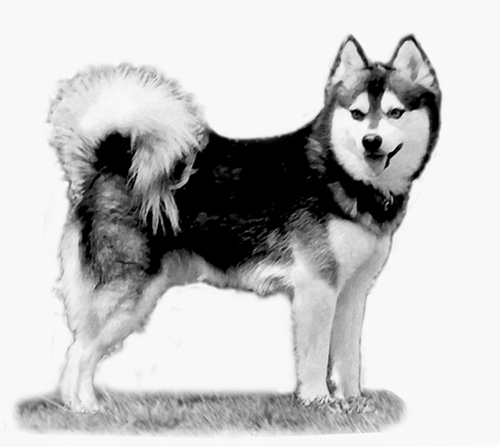 The appearance of the Alaskan Klee Kai reflects the breeds Northern heritage. The most distinctive characteristic of the Alaskan Klee Kai is the contrasting colored facial mask with the well-defined nose bar down the center of the muzzle, and goggles around the eyes. They are very curious, intelligent, active, quick and agile. Loyalty and alertness make the Alaskan Klee Kai great watchdogs, good at giving alarm, who may be territorial despite their small size. While they are devoted to their owners, and make excellent companions, they may be aloof with strangers. The head is clean, free of wrinkles, proportionate to the size of the body, with a moderate stop. When viewed from the top or side, the skull and muzzle taper toward the nose to form a broad-based wedge shape. Faults: Narrow head; insufficient stop; stop too steep. The skull is slightly rounded and somewhat broad, tapering gradually from the widest point to the eyes. Faults: Skull too flat or too domed. The length of the muzzle, from stop to nose, is equal to or slightly shorter than the length of the skull, from occiput to stop. When viewed from the side or from above, the muzzle tapers slightly from where it joins the skull to the nose. The muzzle is well-filled-in under the eyes. The lower jaw is strong, but not protruding. Lips are tightly-closed, and lip pigment is black in dogs whose coat colors are shades of black or gray; and lip pigment is liver-colored in dogs whose coat colors are shades of red. Faults: Loosely hanging lips; a shallow or receding lower jaw; a pinched or snipey muzzle; a too short or too long muzzle. A full complement of strong white teeth meet in a scissors bite. Disqualifications: Overshot or undershot bite, wry mouth. Nose is black for dogs whose coat colors are shades of black or gray; and the nose is liver-colored for dogs whose coat colors are shades of red. A pink streaked snow nose is acceptable. In profile, the nose is on the same line as the top of the muzzle and extends just slightly beyond the lower jaw. The eyes are of medium size and may be any color or combination of colors. Almond-shaped eyes are the most desirable, followed in order of preference by oval and round. The eyes are set obliquely. Eye rims are black for dogs whose coat colors are shades of black or gray; and the eye rims are liver-colored in dogs whose coat colors are shades of red. Faults: Eyes set too wide or too close together. The ears are prick, strongly erect and pointed upward, well-furred, triangular in shape, and slightly large in proportion to the size of the head. The leather is thick from base to tip. The ears are set so that the inner edge of each ear is above the inner half of the eye below it. Ear tips are slightly rounded. The ears are extremely mobile and react sensitively to sounds. o low. Disqualification: Hanging or drop ears. The neck is medium in length, arched, and carried proudly erect when the dog is standing. When moving at a trot, the neck is extended so that the head is carried slightly forward. The shoulders are moderately laid back. The shoulder blade and the upper arm are roughly equal in length. Viewed from the front, the forelegs are straight, parallel, and spaced moderately apart, with moderate to fine bone in proportion to the size of the dog. Pasterns are flexible and strong, moderately short, and slightly sloping. Elbows are neither close to the body nor out but are set on a plane parallel to the body. Faults: Straight shoulders; weak pasterns; short upper arm. In profile, the length of the body, from the point of the shoulder to the rear of the buttocks, is slightly longer than the height of the body from the withers to the ground. The withers are just slightly higher than the croup. The topline of the back is level from just behind the withers to the loin. The sloping croup is never so steep as to restrict the rearward thrust of the hind legs. The ribs are well sprung out from the spine, forming a strong back, then curving down and inward to nearly a heart-shape if viewed in cross-section. The loin is strong and short but narrower than the rib cage and with a slight tuck-up. The chest is moderately broad and let down to the elbows. When viewed from the side, the lowest point of the chest is immediately behind the foreleg. The forechest should extend in a shallow oval shape in front of the forelegs but the sternum should not be excessively pointed. Faults: Chest too broad; barrel or flat ribs; slack or roached back. High in rear. Viewed from the rear, the rear pasterns are parallel to each other, and spaced moderately apart. The rear legs are moderately well angulated at stifle and hock joints. The rear pasterns are well let down and perpendicular to the ground when viewed from any angle. Serious Faults: Over-angulation; hocks turned in or out; thin or weak thighs. The feet are sized in proportion to the bone of the individual dog, oval in shape, and well-knuckled up. The pads are thickly cushioned and well furred between the toes and pads. Hair on the feet may be trimmed between the pads and around the outer edges of the feet. All dewclaws may be removed. Faults: Splayed feet; long feet; poorly cushioned pads. The tail should be well furred and set on just below the level of the topline. The preferred tail carriage is a loose, natural curl, which falls to the center of the back or drapes to either side of the body. The tail may hang down when the dog is relaxed or in unfamiliar situations but forms a loose, natural curl when the dog is alert or moving. Dark hairs at the tip of the tail are preferred. Faults: Tail stands away from the back or sides of the body when curled. Serious Fault: Tail kinks not a result of injury. Disqualification: Tail too short to curl over and naturally touch the back. The coat is double and of sufficient length to give a well furred appearance reminiscent of the breeds northern heritage. The coat is never so long as to obscure the outline of the dog. The neck is well furnished with fur, which forms a protective ruff blending into the apron. The tail is well furred with longer hair at the base and underside of the tail. Longer-coated dogs may have some feathering on the rear of the front legs; the rear of the hindquarters, from the buttocks to the hock joint; underside of the body and tail; and the ears. The undercoat is soft, dense, and of sufficient length to support the outer coat. The guard hairs of the outer coat are straight and never harsh nor extremely soft. The absence of undercoat during the shedding season is normal. This breed is presented in a completely natural condition except that trimming of hair between the pads and around the feet to present a neater appearance is permissible. Serious Faults: Coat that is so long as to obscure the outline of the dog; trimming other than described above. 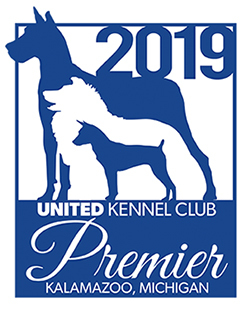 Coat colors in shades of black, gray or red are acceptable provided that the facial mask is distinct and clearly visible, and there is a contrasting lighter color on the bottom half of the dogs face, throat, chest, breeches, feet, legs and underside. The overall appearance is one of symmetry. The most desirable markings include light-colored spots over the eyes; lighter fur on the inside of the ears; a dark coloration at the tip of the tail; and a full facial mask which consists of dark coloration on the skull which extends down the nose bar of the muzzle and around the eyes, or goggles, provided that it does not extend down the face more than half the length of the muzzle (or face), a solid nose bar of undivided darker color extending from the forehead down the top of the muzzle to the nose without extending down the sides of the muzzle; and a contrasting lighter color extending up the cheeks to a line between the outside corners of the eyes and the base of the ears, down the sides of the muzzle, under the jaw, and down the throat. The fur on the inside of the ears should also be of the same lighter contrasting color. The acceptable, but less desirable markings include: a white tipped tail; and a light-colored blaze centered in the middle of the skull and stop. With the exception of the blaze and the light spots above the eyes, the more of the lighter contrasting color present on the upper part of the face, the less desirable is the mask; and more of the darker color present on the lower part of the face, the less desirable is the mask; with the least acceptable being the Widows Peak (where the entire face is of the lighter color with just a small dark area capping the top of the head and a point dropping into the center of the upper forehead). Fault: Symmetrical split - a narrow, light-colored strip which evenly divides the dark strip down the nose bar of the muzzle. Eliminating Faults: Absence of required lighter contrasting color described above; asymmetrical markings visible while the dog is standing; any distinct area of lighter contrasting color on the topline, known as a cape; a dark nose bar on the center of the muzzle that extends down the sides of the muzzle; distinct spots of lighter contrasting color anywhere other than the spots over the eyes, the blaze on the head, or the tip of the tail. Disqualifications: Absence of distinct mask; solid coat color lacking distinct and contrasting markings; albinism. It is intended that the Alaskan Klee Kai remain a small to medium-sized dog. Height is measured from the withers to the ground. Weight should be proportionate to height and bone structure, appearing neither too heavy nor too thin. Toy Variety: Up to and including 13 inches. Miniature Variety: Over 13 inches and up to and including 15 inches. Standard Variety: Over 15 inches up to and including 17 inches. Serious Fault: Over 17 inches up to and including 17.5 inches. Eliminating Fault: Over 17.5 inches in height. The Alaskan Klee Kai should move with the smooth, effortless, agile gait of his Arctic forebears. When in the show ring, they should be gaited on a loose lead at a moderately fast trot, exhibiting good reach in the forequarters and good drive in the hindquarters. When viewed from front to rear while moving at a walk, the Alaskan Klee Kai does not single-track, but as the speed increases, the legs gradually angle inward until the pads are falling on a line directly under the longitudinal center of the body. As the pad marks converge, the forelegs and hind legs are carried straight forward, with neither elbows nor stifles turned in or out. While the dog is gaiting, the topline remains firm and appears level. Faults: Short, prancing or choppy gait, lumbering or rolling gait; crossing or crabbing. Judges must penalize dogs with any one of the following serious faults and withhold championship points from any dog possessing two or more of these faults. Breeders should take as strict or even stricter view of these serious faults in their breeding program. Coat: Coat that is so long as to obscure the outline of the dog; trimming other than as described in Coat paragraph. Height and Weight: Over 17 inches up to and including 17.5 inches. Hindquarters: Over angulation; hocks turned in or out; thin or weak thighs. Over 17.5 inches in height. Absence of required lighter contrasting color described above; asymmetrical markings visible while the dog is standing; any distinct area of lighter contrasting color on the topline, known as a cape; a dark nose bar on the center of the muzzle that extends down the sides of the muzzle; distinct spots of lighter contrasting color anywhere other than the spots over the eyes, the blaze on the head, or the tip of the tail. Tail too short to curl over and naturally touch the back. Solid coat color lacking distinct and contrasting markings. Please Note: In UKC Conformation Shows, this breed is shown by variety in this order Toy, Miniature, Standard.